Prepare your new High School Graduate with a necessary tool for college life, a Personalized Laundry Bag. Be sure to fill it with detergent, perhaps some cleaning direction and quarters for inspiration. A Good clean graduation gift for any high school graduate or new college student. Our natural cotton bag measures 19" x 27" with drawstring closure and web shoulder strap; machine washable. 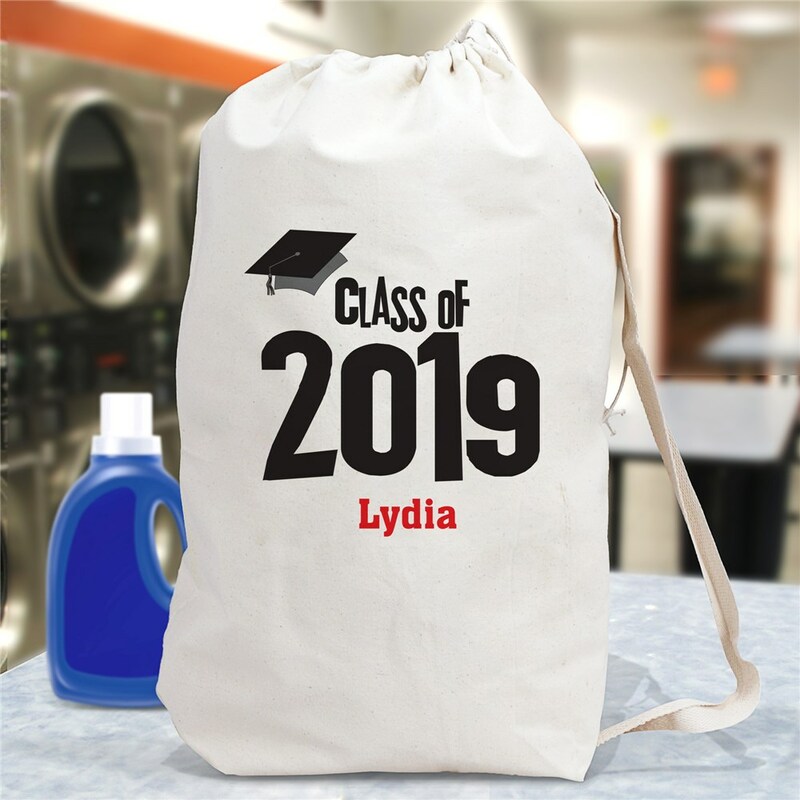 Personalized Class of 2019 Laundry Bag includes FREE Personalization! Personalized with any name and graduating year. Personalized Graduation Gifts and Graduation Gift Ideas for your student or recent graduate. Show your graduate how proud you are by giving a Personalized Graduation Gift. We have Personalized Graduation Shirts, Personalized Graduation Keepsakes and Personalized Graduation Teddy Bears. Plus plenty Class of 2015 gift ideas for the high school graduate. If your planning a graduation party and need graduation gift ideas start here for your personalized graduation party invitations, custom senior class graduation gifts and more.